Poetry has a deeply personal relationship with memory; like music, it foils and complicates prior experiences and memories through its reading and presentation. 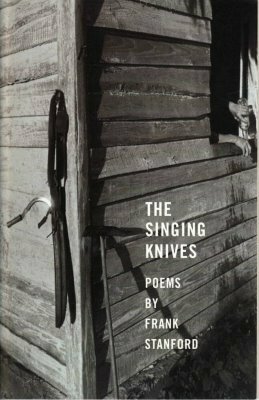 This morning, I spent a few hours revisiting Frank Stanford’s The Singing Knives, and it took me back to my first semester of creative writing in my undergraduate career. Since I was unable to take any creative courses during my first year of study—I had to get as many of those general education requirements out of the way early, after all—I decided to take two courses in creative writing, in a sense, to make up for lost time: an “introductory” creative writing course and an art & aesthetics course, in Fall 2008. The reason The Singing Knives took me back so readily to that year had everything to do with the fact that there was a writing assignment, a poem assignment, centered around the title poem. We were required to use the poem as a model, writing in the “I dreamed” structure, with a topic of our choice. After I had finished reading the title poem, I dug back through my oldest undergraduate work and opened the file for my own Singing Knives poem… and was disappointed at what I found. While I had clearly attempted to create a dreamscape, and certainly had compiled some interesting images that could be put to better use now, I bailed in the end by literally waking the narrator from a dream, creating a clean line between what was real and what was dream. This premise was far from the truth of Stanford’s poem, in that the dream images not only are complicated in the “waking” areas of the title poem, but are repurposed in later poems later in the book!—through the use of outhouses, horses, the moon, animalistic personification, and the like. “In the case of art that defines itself as resistance, its continued effectiveness is dependent upon the continued health of that which it resists, just as the vitality of a virus depends upon the continued health of its host. (Viruses, as we know, may be ingenious but they’re rather dumb and often polish off their hosts, the definition of a bad houseguest.) Once that critique has been assimilated or worn out, it becomes defanged, domesticated, no longer combative, rather quaint. Quaintness may be the worst that can happen to an art, its fire replaced by a lava lamp. The worst thing that can happen to an artist is to become a bore, to become complacent” (Young 8). This resistance Young refers to specifies not so much resistance to an object or topic, but rather, how that object or topic is approached—creating that object or topic in a new way in poetry, or other art forms. This resistance, then, can only continue if the artist—in this case, to be more specific, writer—is continually willing to resist sameness, to risk recklessness, in doing something they have not tried or are uncomfortable with. In this lies my disappointment: while I was creating a poem that was different, that was edgier than my prior work, I remember becoming uncomfortable with the content, worrying how readers would view what was written, and so I hid those images under the premise of literal dreamscape, under the cloak of “what occurs in dreams is unexplainable and, therefore, should be excused.” I had yet to learn what artists have to learn in order to be successful: the idea that an artist need only please him/herself, and the idea that the artist must risk being a little bit reckless in order to stay fresh. Both of these ideas—hell, rules—are readily complied with in Stanford’s The Singing Knives. In reading the collection, I was struck with the shift made approximately halfway through, beginning with “The Bass,” when the narrator seems to shift from focusing on humanistic relationships in the context of nature to more readily focusing on observations and relationships with nature itself (though with the occasional exception of still including humanistic relationships where nature is the more-central topic). While this move could simply be marked as a “shift” in the collection, it also functions as a move of recklessness, allowing the collection to focus on, both, man and nature, and man’s place and context within nature. Because of this shift, the collection is able to focus more so on the Native American implications of the poems, rather than simply on relationships and, in a sense, animal sacrifice. The movements made in the relationships and the violence done unto the animals is given more authority, and a touch of gentleness and grace, through this Native American presentation that may send some readers off to Leslie Marmon Silko’s Ceremony and some of Sherman Alexie’s edgier poems. 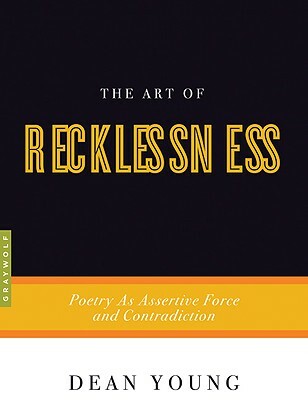 In revisiting Frank Stanford’s collection, I was provided with an imagistic example of what it means to be reckless, in what it means to provide that necessary shift in a poetry collection, or even in one longer poem. While I may not be able to revise that 2008 poem to meet the needs of truly reflecting Stanford’s poem, that may just be okay, because it represents a learning curve. Instead, another poem may be written, and as Dean Young states early in his book, when speaking of writing a poem without knowing how it will turn out, “it is impossible to know what will happen next but certainly we may be assured that the world will not be made worse” (3).